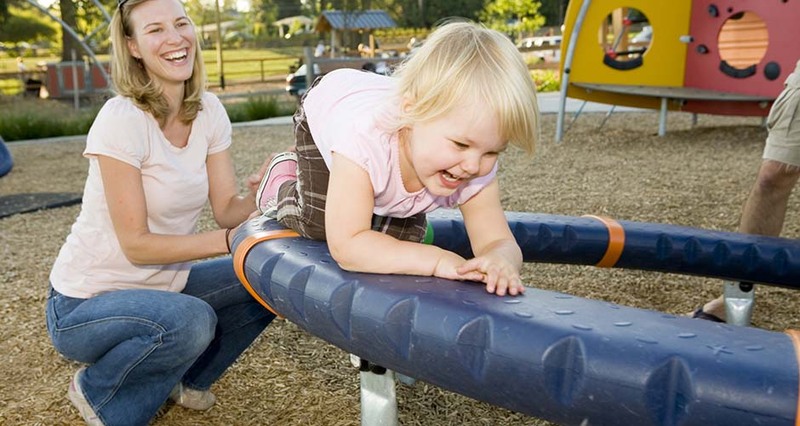 This 12-acre community park is located on a historic, scenic and environmentally sensitive site. 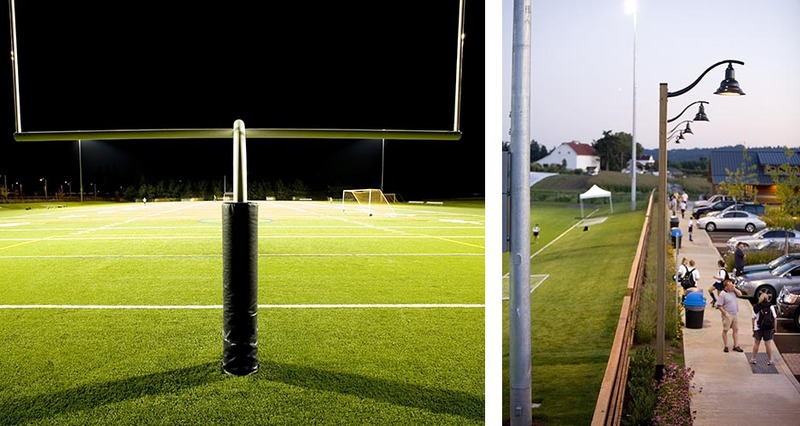 The final design successfully combines a wide variety of treasured community functions, including a 3-acre dog park, multi-use artificial turf athletic field, playground, 110-car parking lot, restroom/shelter facility, and trails. The public participation process successfully navigated a highly controversial and politically contentious project to a successful conclusion. 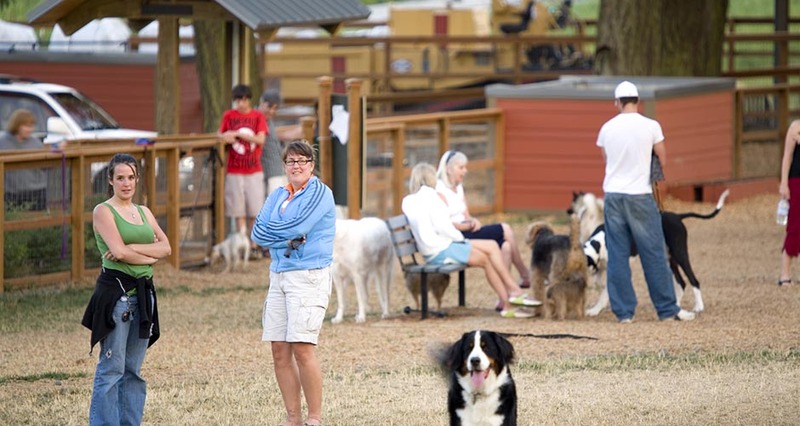 An extensive public participation process bridged conflicting goals of dog park users, youth sports organizations, adjacent neighbors, and natural resource advocates. Key to the success was recognizing and enhancing the site’s historic, natural, and visual qualities. The farmhouse-inspired structure, designed by our architecture department, recalls the site’s agrarian past and serves as a shelter and gathering area for the playground. 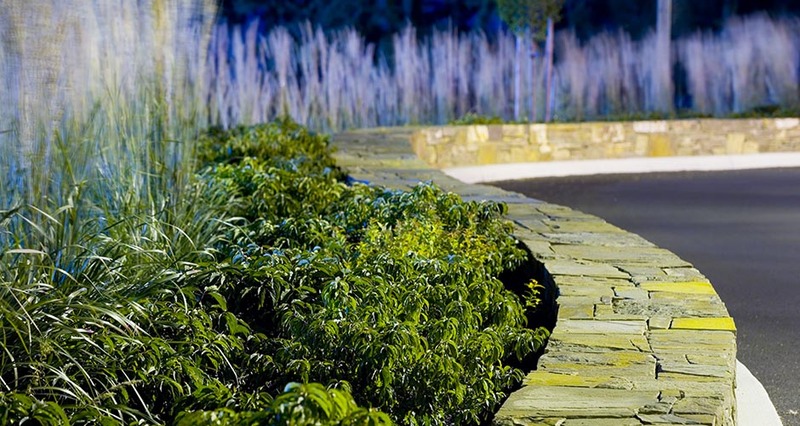 A low natural stone wall along a curved driveway creates an inviting entry sequence. Landscape plant material was chosen to impart a rich visual quality and incorporate native plantings where possible. The park provides a key link in the Rosemont trail system that will eventually connect to West Linn. 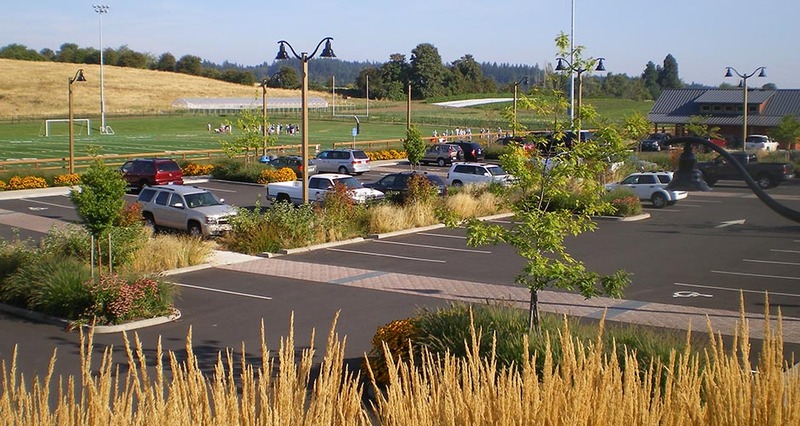 On-site vehicular and bike parking were provided to create an inviting trailhead for cyclists, walkers and equestrians. 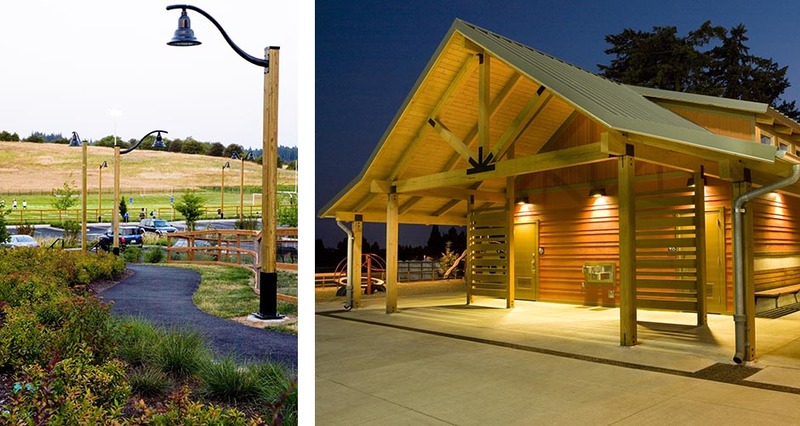 Onsite pedestrian circulation was developed to thoroughly integrate the existing trail within the overall park design. The overall site design incorporates innovative stormwater techniques that create a natural appearing park and improve the quality of the existing wetlands. We coordinated with an environmental subconsultant for enhancement of 1.5 acres of existing wetlands and creation of 2.7 acres of wetland habitat. Vegetated swales treat parking lot runoff, with conveyance to the wetland under a pedestrian bridge.